The new feature is probably already lurking in your Skype application for your PC or Mac. 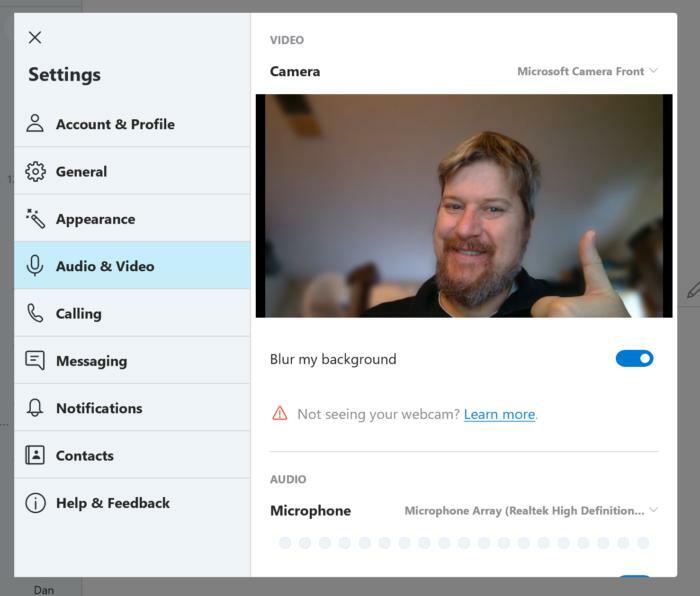 Microsoft has rolled its long-awaited background-blur feature to Skype for the PC and Mac, returning the focus to you and away from the clutter that can distract video callers. Skype’s background blurring is essentially portrait mode for video calls, using artificial intelligence to separate you—your hair, arms, glasses, and the like—from whatever’s cluttering up your background. As you can see from the screenshots, background blur did an excellent job separating me from the assorted detritus of my home office: a summer fan, treadmill, and assorted boxes. Microsoft says that background blurring can be enabled with just a right-click on the video stream, or alternatively with a simple toggle. You can also just switch it on within the Skype settings menu, as seen here. What this means to you: Skype’s background blurring doesn’t totally obscure what’s behind you the way a green-screen effect would, but it’s effective at keeping the focus on what matters. 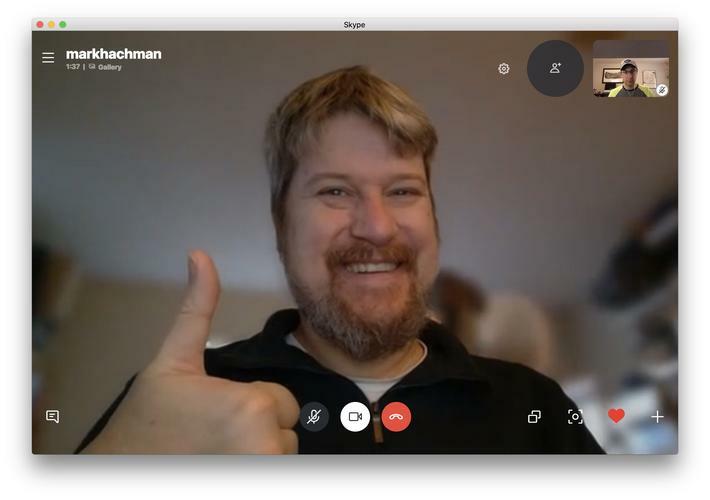 It’s a handy and welcome addition to Skype, and simple to toggle on and off.